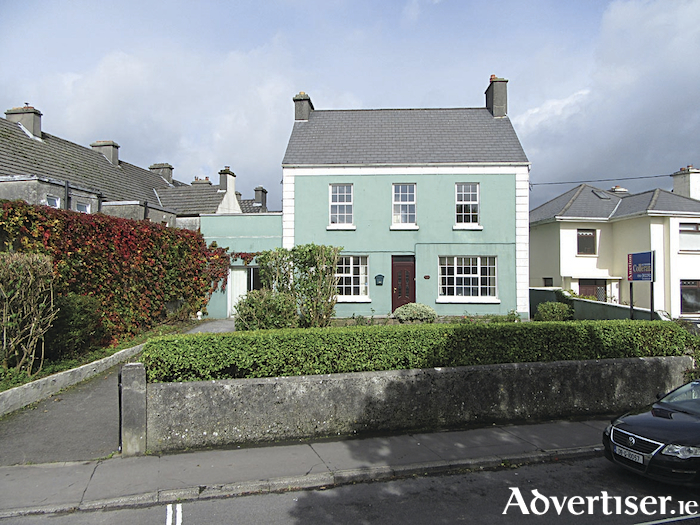 Colleran auctioneers has just been favoured with the sale of No 14 Whitestrand Road, Salthill, Galway. This is a rare opportunity to purchase an attractive detached 1920s house full of charm and original features. One of the many attractions of this property is its large elevated site with a separate rear access, offering lots of potential to extend if even more living space is needed. The bright, spacious, accommodation includes entrance hall with original staircase to first floor, sitting room, living room, large dining room, kitchen, and utility. On the first floor there are four bedrooms, all en suite. In the attic there are two additional bedrooms and a bathroom. Included in No 14 Whitestrand Road are three independent living units which could be retained for an additional income or incorporated back into the house. While the house was re-roofed and double glazing has been installed, it would benefit from further modernisation with the existing spacious accommodation offering lots of potential. The location alone in Salthill makes this property very desirable as it is within walking distance of a number of notable primary and secondary schools as well as NUIG, UHG, Galway city centre, and Salthill Promenade. If you have been looking for that special house in a very special location then Whitestrand Road will certainly be of interest. No 14 Whitestrand Road will be offered for sale by public auction on Thursday October 18 at an advised minimum value of €500,000. Open viewings take place on Saturdays from 2pm to 2.30pm.